As a nation, Spain was the result of the marriage of a prince and a princess, heirs to the kingdoms of Aragon and Castille. In order to reinforce this “national union,” they made use of the Catholic religion, which they imposed on their subjects by means of the Inquisition. This resulted in “National Catholicism,” a concept that lasted for centuries, and that was embraced by the Franco regime as its ideology, lacking as do all dictatorships an ideology of its own. National Catholicism eventually died with the dictator. Ferdinand and Isabel, with an eye toward consolidating political union in Spain, began a series of expulsions that would rid the fledgling nation of ethnicities and individuals who were not sympathetic to the regime that had been imposed upon them. The most widely-known of these expulsions saw the forced departure of the Jews in 1492, and that of the "moriscos" (Arabs who had apparently converted to Catholicism). These exiles lost their nationality as well as their property; it is here that my novel begins. Next to a North African cove, the exiles found a city-state called Villadite, a name that alludes to Dante’s city of Dite, because its founders were viewed by Spain as arrogant public sinners. They create in the Republic of Villadite a libertarian state, which admits all ethnicities, religions, and individuals, whether exiled or persecuted for their beliefs. Villadite’s democratic parliament is made up of a majority party, the Mixture, whose members are non-believers (agnostics and atheists) and three religious parties: Jewish, Muslim, and Protestant. These last three are in the minority, but form a coalition that secures control of the parliament; as a result, the Mixture’s government is in danger of being unseated via a vote of no confidence. Thus, the Mixture finds itself in the position of being closely watched by the religious parties and forced to govern without committing any excesses. The novel also describes the republic’s other institutions, the most notable of with is the Nepoteria. The Nepoteria arises out of Villadite’s belief that corruption is irreparable, and is a sort of gigantic stock exchange in which everything can be bought and sold. At the outbreak of the Spanish Civil War, a secret agent of the Second Republic is sent to Villadite with the mission of securing economic and diplomatic assistance. 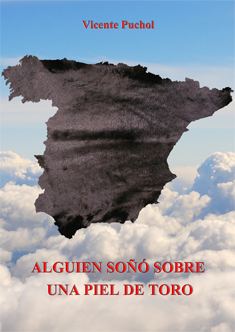 However, the expulsions that marked Spain’s history have made Villadite wary of its neighbor. Parliament charges its Commission on Foreign Affairs with investigating the Spanish Republic’s historical antecedents and its political behavior, particularly the assassinations committed by both the government and the rebels, news of which have reached the nation-state. 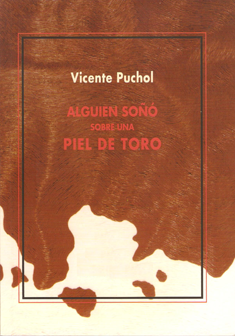 The secret agent’s adventures while on his mission in Villadite make up the narrative of Dreams of a Bull’s Hide.